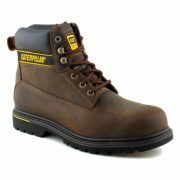 Our supply of caterpillar safety boots come in a variety of styles and colours for comfort and durability while working. 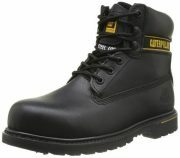 All caterpillar safety boots are fitted with a durable rubber compound outsole and moisture wicking lining, ensuring that they are built to last throughout any DIY or construction project. Working hand in hand with a number of private, industrial and commercial clients across the South East, JP Supplies are the leading supplier of cleaning, workwear and personal protection products. Browse our extensive online database for more information on what we can provide your professional team.